Fernando Alonso drove a hard and determined race to finish the Singapore Grand Prix in seventh position. The Spaniard, who had started ninth, made a brilliant start, and was able to hold on to fifth position for much of the race until falling into the clutches of Sebastian Vettel and Max Verstappen in the closing stages. Nonetheless, he was ‘best of the rest’ this evening: the next car home after the two Mercedes, the two Red Bulls and the two Ferraris. His was an impressive performance. 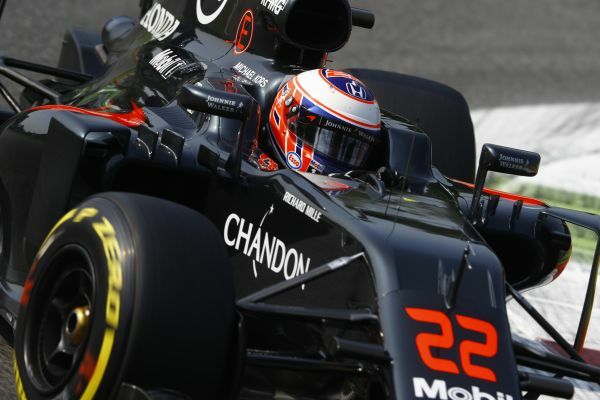 Jenson Button’s race was effectively over on lap one. After making a good start, he became embroiled in the start-line accident, successfully dodging Nico Hulkenberg’s Force India only to tag his front wing on Valterri Bottas’s Williams as he was taking avoiding action. Forced to pit for repairs and rejoin at the back, he was thereafter compromised in his efforts to play catch-up by bodywork damage that was reducing the downforce available to him. Towards the end of the race his engineers took the precautionary decision to stop his car owing to worsening brake temperatures – a legacy of the brake-duct damage that had occurred on lap one. “Seventh was the maximum we could achieve today – the best of the rest after the two Mercedes, the two Red Bulls and the two Ferraris. We weren’t perhaps quite the fourth-fastest team here this weekend, so it’s thanks to good strategy and a good start that we were able to bring home this result. “I chose to go on the outside at the start, and the crash didn’t affect me as I was already up into sixth at that point. Then I braked very late for the first corner and got past Daniil [Kvyat] and Kimi [Raikkonen]. Everything went fine – sometimes you just need to get lucky. “For a time, I was even hoping for a podium finish – if something had happened ahead of me it could have worked out that way – but in fact it was one of those races in which nothing happened at the front. “I might have retired on lap 43, but, to be honest, my race was effectively over on the first lap. “I got a very good start and pulled alongside Valtteri [Bottas], but I didn’t see Nico’s [Hulkenberg] car coming across the track until he was right in front of me, facing the wrong way. I lifted and pulled to the right, but there wasn’t really anywhere to go, so I tagged Valtteri with my front wing. That broke my front wing, brake duct and floor. “Above all, today was a good day for Formula 1. “After two hours of intensely competitive racing under spectacular floodlights here in Singapore, the fact that the first two cars home were separated by less than half a second underlines what we who love racing already know: Formula 1 remains a superb sport, as exciting today as it’s ever been. 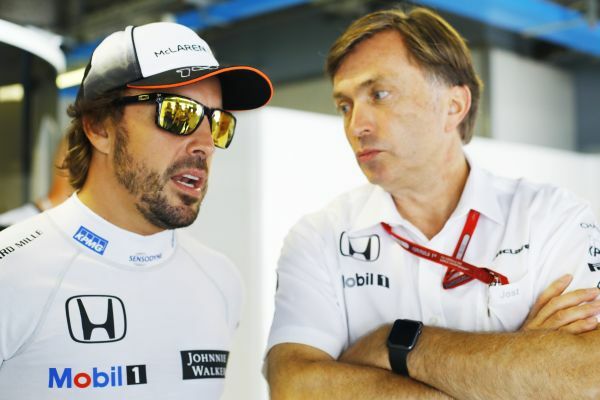 “From a McLaren-Honda point of view, we were pleased to score six world championship points as a result of Fernando’s forceful and competitive run to seventh place. He made a strong start and then maintained impressive and consistent lap-times all afternoon. His was a great drive by any standards. “As for Jenson, he too got off the line well, but his fine start was spoiled when his front wing touched part of the Williams of Valtteri, who was trying to avoid getting embroiled in Nico’s shunt. It was no-one’s fault: sometimes chain reactions of that nature occur in racing, especially on lap one, and there was absolutely nothing Jenson could have done to avoid getting tagged in Nico’s accident this evening. “I want to say a public ‘bravo’ to our race team – those in the garage and those on the pit-wall, as well as those back at Mission Control in Woking too – who managed the race so efficiently. That was a job very well done, guys. “First of all, I must congratulate Fernando for another brilliant start that put him in front of the two Toro Rosso cars. That enabled us to finish seventh and score some all-important championship points. Both drivers struggled in all the free practices this weekend, but thankfully the car had much improved since qualifying to have a good, steady race pace. “On the other hand, Jenson was unlucky to be involved in an incident at the start, trying to avoid a crash with Hulkenberg, which damaged his front wing and brake ducts. This led to a gradual decrease in pace and we eventually had to retire the car.